Call 508-252-4300 with any questions. We're here to help! The staff at Star Marble and Granite has a combined experience of over fifteen years working at leading granite fabricators in eastern New England. Opening Star Marble and Granite in 2002, the owners and staff have put this know-how and experience to work for its many satisfied customers - both residential homeowners and commercial building contractors. 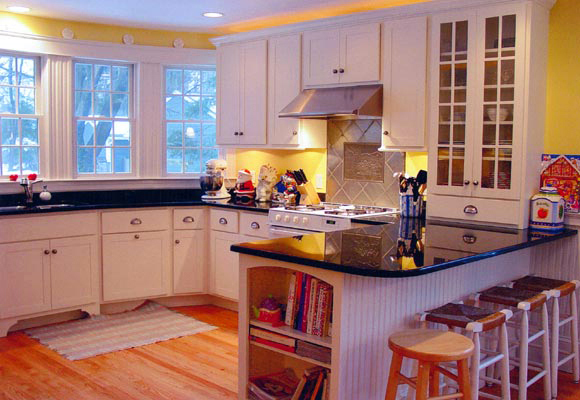 Star Marble and Granite serves the southeastern Massachusetts and Rhode Island area with the finest marble and granite product, superb workmanship, and unmatched prices. Star offers its clients complete service - from measuring and formulating a template, selecting a slab from its large quantity of in-stock granite, ordering special material, fabricating the granite to precise specifications, and installing the finished granite or marble at the site. Star Marble and Granite offers its clients the personal touch that the large, superstore chains cannot. Working with Star Marble & Granite can save you time and money. If you select a granite slab that is in stock, Star can usually have it installed in two weeks. Even when special ordering marble or granite, Star typically can install the stone in approximately three weeks. The staff at Star Marble and Granite are professionals. Skilled, conscientious, and reliable, they will help get your home improvement or building project completed with the finest materials available and with the region's most competitive prices. Satisfaction is guaranteed! Star Marble & Granite Copyright . All rights reserved.